Ross-on-Wye (Welsh: Rhosan ar Wy) is a historic market town situated in the Welsh borders and is on the end of the M50 motorway. It is dominated by the church spire and situated high on a sandstone cliff overlooking a large loop in the beautiful River Wye. 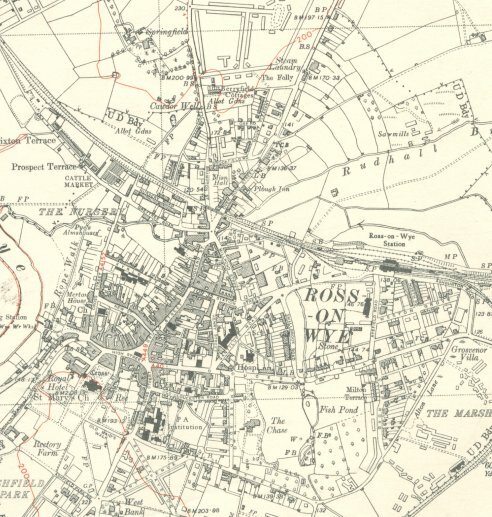 The name "Ross-on-Wye" is derived from the Welsh or Celtic for 'a promontory' and the 'on Wye' part was added in 1931. Nearby is Wilton which grew up around a ford in the River Wye which is now the site of Wilton Bridge. It is likely that Wilton would have grown larger than Ross-on-Wye except that regular flooding caused people to choose the higher ground that most of Ross is now built upon. 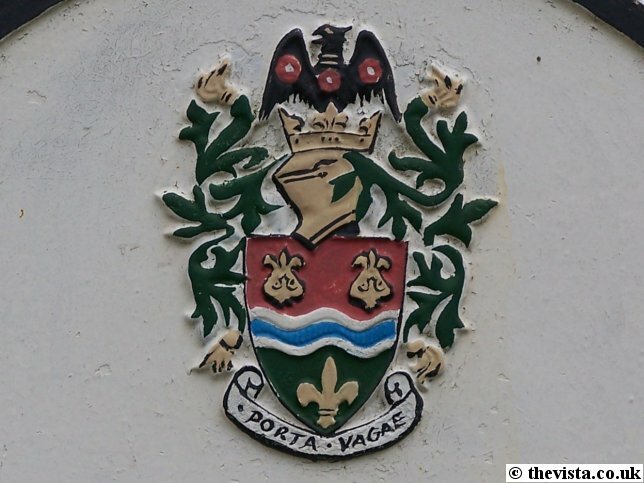 Ross-on-Wye was granted a coat of arms in 1953. Ross-on-Wye is placed in the heart of rural Herefordshire and in the picturesque Wye Valley. The location and easy access to the marvelous scenery has made it a magnet for tourists and this was at its peak in Victorian times when it was a popular resort. Ross-on-Wye was part of the 'Wye Tour', a less expensive and less time consuming alternative to the 'Grand Tour'. This 'Tour' was taken by nobleman in the 18th century after they completed their education with a period of European travel. This so-called Grand Tour would last anything from a few months to 8 years, so only the very wealthy, with the time and means to travel, could participate. The 'Wye Tour' initially allowed the middle classes to escape from the dirty, industrial cities to the clean air of the Wye Valley and feel they had had a similar experience. This was further improved up when the the railways came to Ross making it easier for even the working class to travel out to see the Wye and surrounding scenery. The town consists of Tudor timbered houses clustered around the 17th Century Sandstone Market Hall. 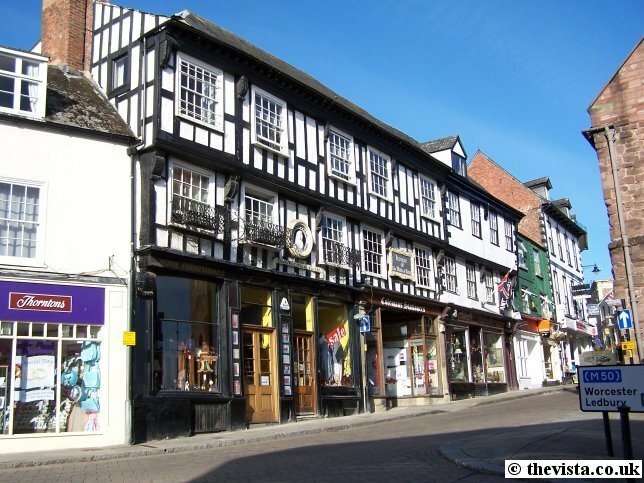 To the left is one of the remaining Tudor buildings in Ross-on-Wye. This was the house where John Kyrle lived who was a major benefactor of Ross (more details later ...). Ross (along with Ledbury) was granted the right to hold a market in 1138 by King Stephen, although it is thought that markets may have already been running in both of the towns. This was the first official recognition of the importance of the town. Reproduced from the 1952 Ordnance Survey map. © Crown copyright. 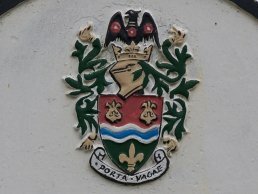 Ross has an association with hedgehogs and this can be seen around the town as hedgehogs are in various crests and logos. This seems to relate back 1500 years when the Celts invaded Ross on Wye and called the area "Ergyng" which meant "Land of the Hedgehog". This was changed in Saxon times to Arkenfeld and later again to Archenfield. St. Mary's Church has many examples of the connection and has atleast fourteen representations of hedgehogs in various guises, the shield in the Markye Chapel contains nine on its own. The earliest reference to Ross-on-Wye was in 1016 in a document presented to the Bishop of Hereford although there are earlier references to Ariconium which was a nearby Roman industrial area. Ross is referred to in the Doomsday Book of 1086 as a village and manor of the Bishop of Hereford with a priest and a mill thus indicating that Ross had emerged as a settlement with a church and corn mill. Ross was, after a large effort by the Chamber of Commerce, the first market town to get high speed broadband in Herefordshire. 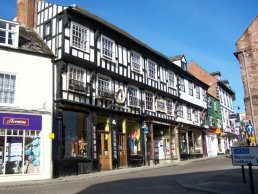 Ross-on-Wye is known for its antique shops and the town has various shops ranging from small craft shops to numerous tea shops to some of the larger high street chains. The town itself is also proud of its winning status in the Britain in Bloom awards.